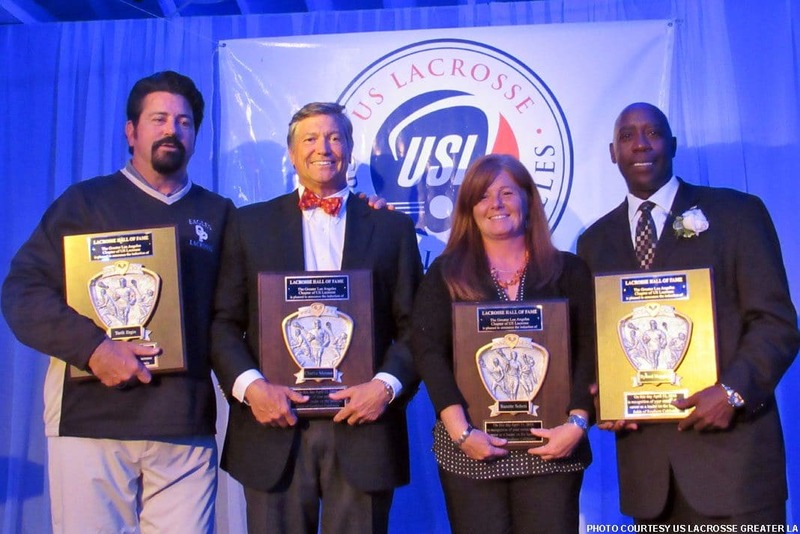 The Greater LA Chapter of US Lacrosse has issued a call for nominations for its Hall of Fame, honoring individuals who have put in the time and effort to grow the sport in the Los Angeles area. In 2016, the chapter honored Tarik Ergin, Charlie Meister, Suzette Soboti and Ryland Huyghue (pictured, from left) with induction to the Hall. Nominations for the 2018 induction class are due by Nov 17, 2017, and those selected for this prestigious award will be honored at an induction ceremony in June of 2018. Questions related to the nomination or selection process should be directed to Hall of Fame committee chair Gary Greenbaum by email. Next articleTim Clark, What Happens When Athletes Love Lacrosse?